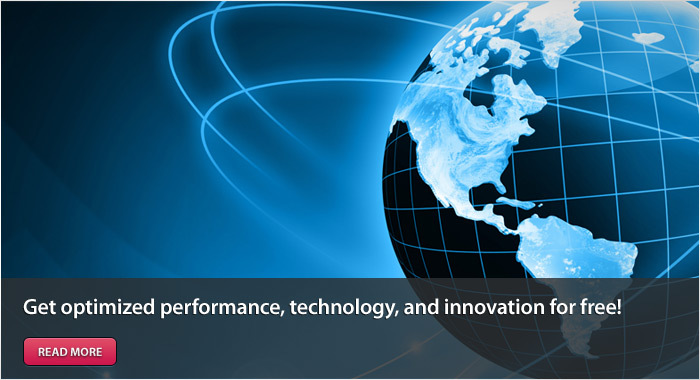 Since 1984 outsourcing third party logistics has been our business. Over these years we have developed a wealth of carrier partnerships and alliances that continues to provide big benefits for our clients. Our highly qualified carriers are insured, bonded, and selected specifically for their past on-time delivery performances, on-time billing , accuracy of invoicing and related documentation and for having an extremely positive customer service experience. Working with these trusted partners is the basis of our confidence and the reason for earning the respect and trust of our current clients. These outstanding relationships together with our repeatable and reliable processes that are built into the technology are the basis for our ISO 9001:2008 certification. Our Oracle database is the same system used by large multi-national firms like Yahoo and AT&T, Ford, GM etc...but that is not the real power. The real power is the processes, redundancy, fail safes, business intelligence and reporting capability that the system provides to our clients. When you see the power of Oracle customized and optimized for transportation logistics you simply won't believe it, it is one of the deciding factors for our clients signing on with us. 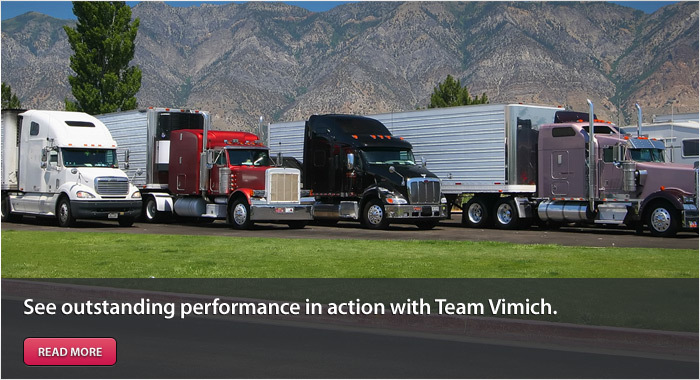 Did you know Vimich was one of the first three outsourced logistics companies and a pioneer of the industry? We may have the longest freight management track record in North America, earning our clients business one load at a time since 1984. We can also boast that we were the first third party logistics company to receive ISO 9001:2008 certifications. Beyond supplier quality, technology optimization, and our unprecedented history, our logistics team is literally a team of logistics experts, having literally moved Millions of loads to thousands of destinations. Our expert logistics staff continuously tracks carrier compliance, stays up to date with carrier changes, and manages all claims made by customers and carriers to ensure we are working with the absolute best available carrier companies. Our team boasts over 130 years of experience. One of the major reasons why Vimich grew so rapidly and continues to grow is our ability to identify with the issues and needs of our manufacturing clients. Today our company still takes the same approach, we are manufacturers at heart and we work on behalf and for the manufacturer. 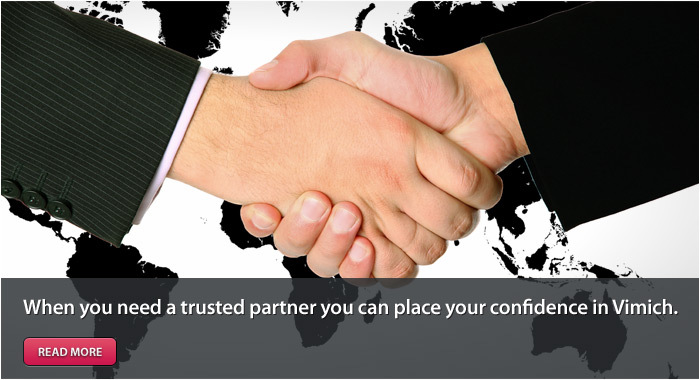 When you need a trusted partner you can place your confidence in Vimich. Our approach to logistics is meeting and exceeding the transportation requirements of our clients. This can only happen by taking a hands on approach and being pro-active not reactive. Our team is in place to serve all of your logistics requirements 24/7 on workdays, weekends and holidays. When you need us, we're there to respond immediately to your needs! Delegating the control and management of your transportation requirements demands an enormous degree of trust. 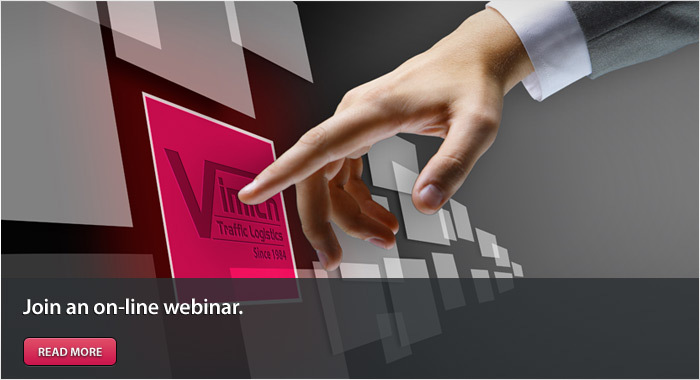 At Vimich Traffic Logistics we fully understand that and deeply respect the responsibility that accompanies your trust. 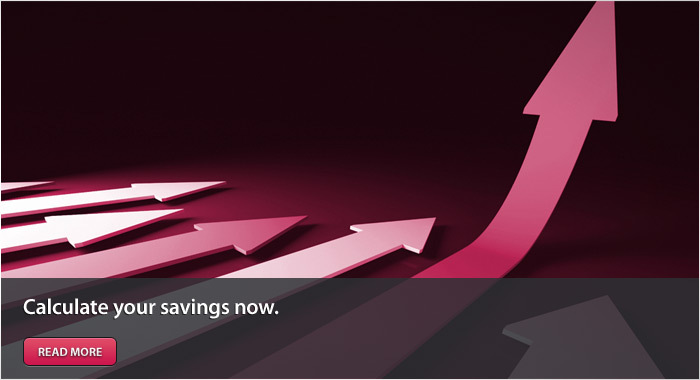 Your decision to engage our services will be your first step towards unmatched cost-effective transportation efficiency. Our committed team of transportation experts is ready, willing and able to harness their proven knowledge, skill and experience to introduce you to immediate cost savings and improved transportation efficiency. With more than 27 years of logistics' experience and many more years in manufacturing, our reputation is, by far, our most valued asset. When you need a trusted partner please give us a call.